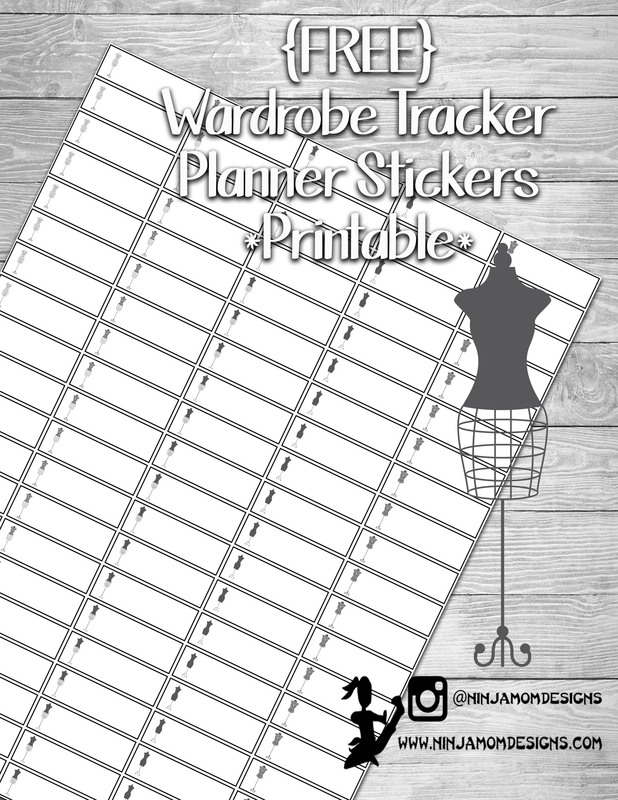 In one of the Happy Planner groups on Facebook, someone was asking about stickers to track her wardrobe- a place to record the outfits she has worn. 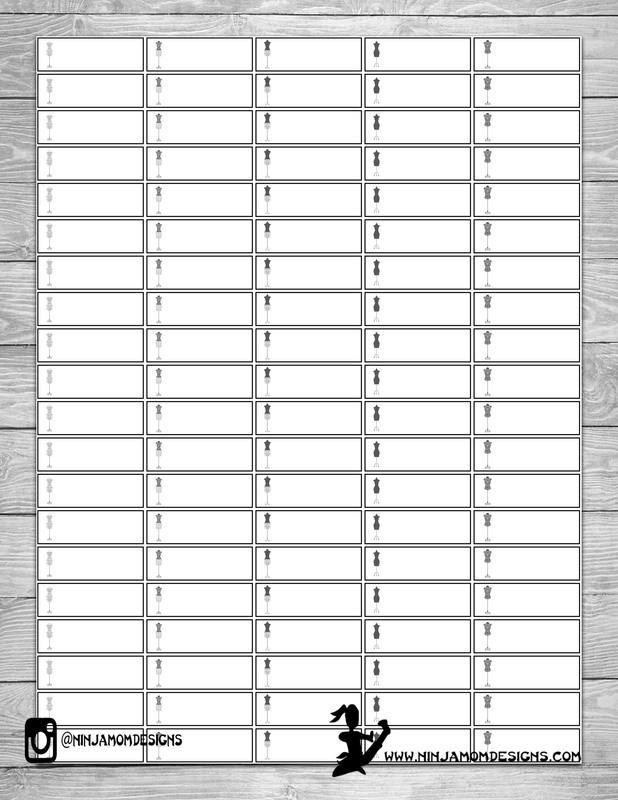 So- today, here is a wardrobe tracker printable set!I tried something different with this printable. The boxes are 1.5 inches by .5 inches. They are made to print on labels from OnlineLabels.Com. You don’t have to have the labels to print- you can certainly use cardstock or full sticker paper.